I got a beautiful cast iron skillet for me birthday (thanks Bonnie!) & I’ve been itching to try it out. And with the temps dropping, I wanted a meal that feels like fall, ya know? 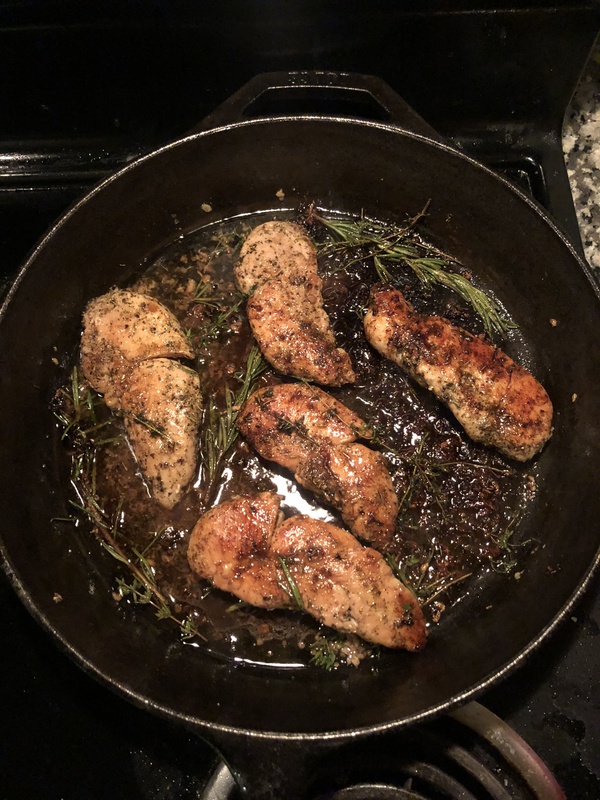 So I decided to make this rosemary & thyme chicken with a balsamic glaze. 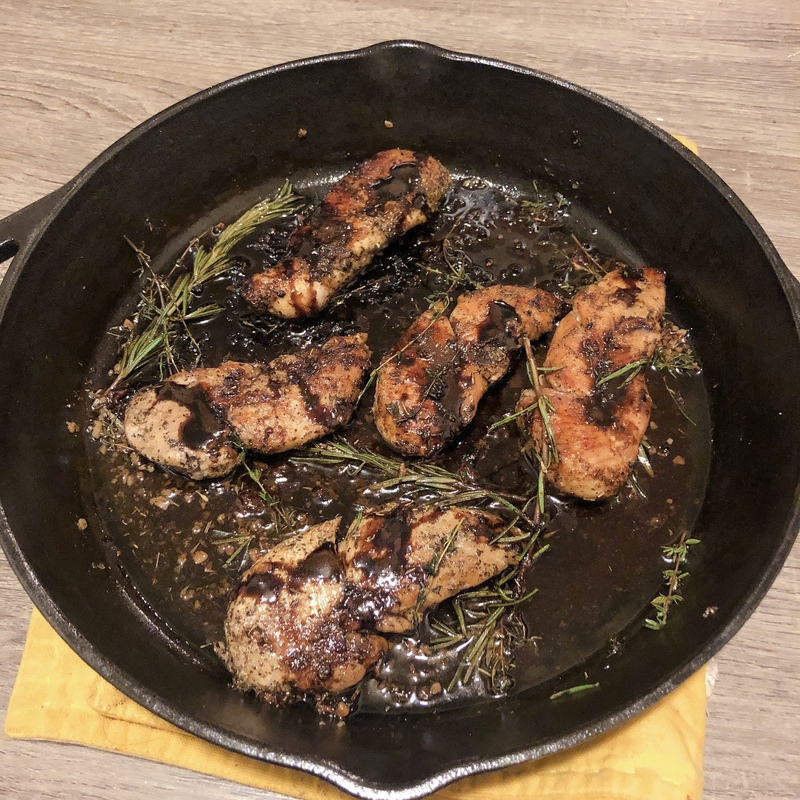 The tanginess of the balsamic glaze was a perfect balance to the earthiness of the rosemary & thyme. Plus, it’s super simple to make! Start by making the balsamic sauce so it’s finished at the same time as the chicken. In a small pot, add 1 cup of balsamic vinegar, 1/4 cup of sugar, one tablespoon of honey, and a teaspoon of salt. Bring to a boil, then reduce the heat. 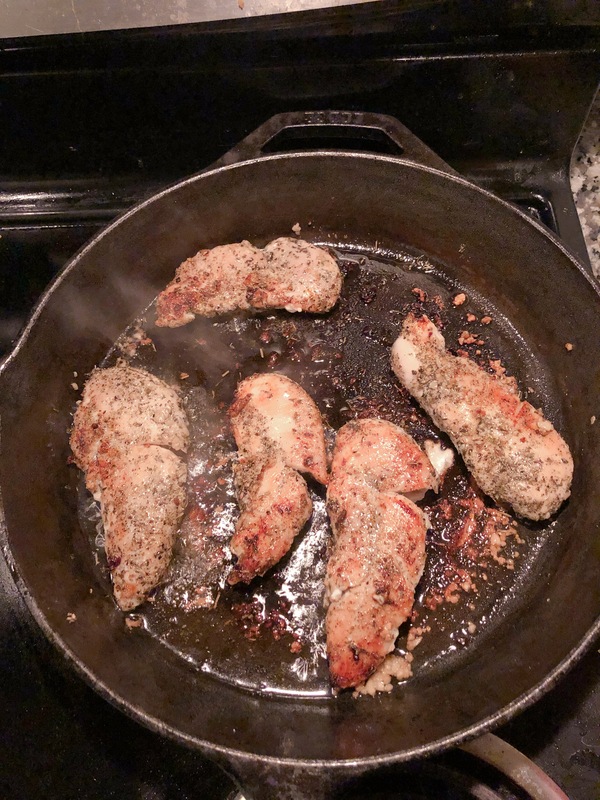 Pat the chicken breast dry, then season it with the dried thyme, dried oregano, Italian seasoning, salt, and pepper. Then add three tablespoons of olive oil to a cast iron skillet & sauté the garlic until fragrant. 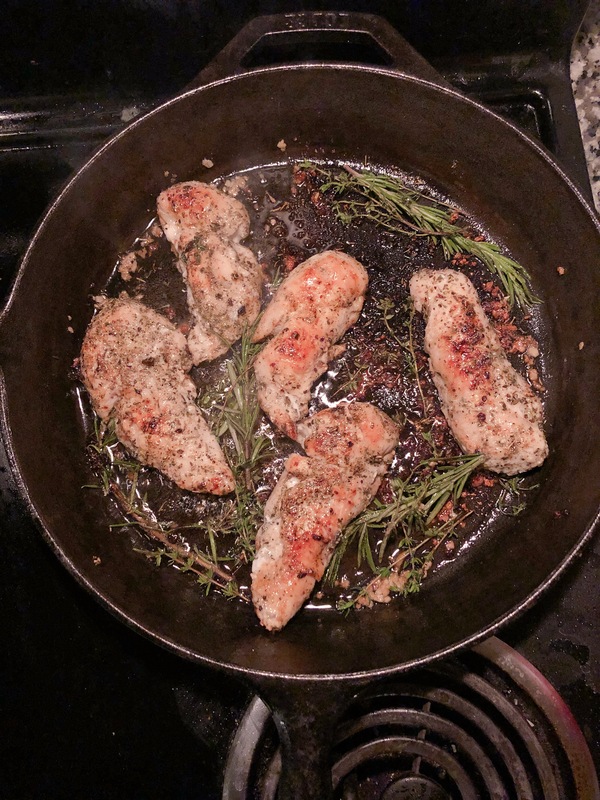 Cook the chicken on both sides for 5 minutes, adding the fresh rosemary & thyme into the skillet half way through. Add glaze to the skillet so the flavors melt together. I served it with crispy potatoes, but this would also be yummy with a simple salad or wild rice. ← Spooky Treats: Sweet Potato Cupcakes with Marshmallow Buttercream Frosting.